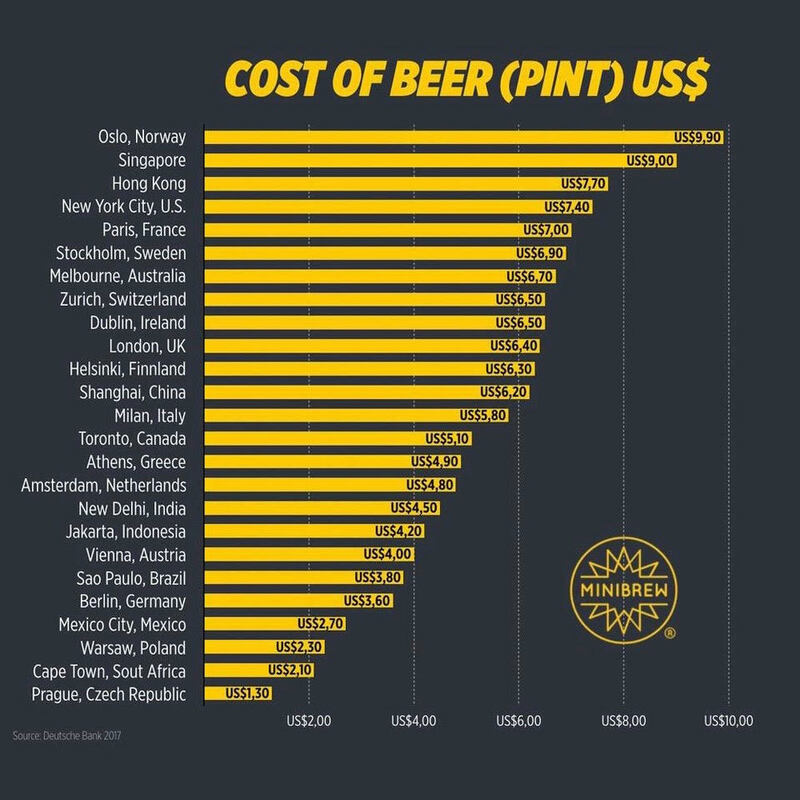 The graph shows the average cost of a pint of beer around the world. Norway leads the charge at US 9.90 a pint while a pint in Prague, Czech Republic will cost you as little as USD 1.30. A pint in India approximates at the world average of US 4.20. As a beer lover, this graph can be used to plan your next vacation destination.